Ok, we have to talk. It’s about… the cake. It’s not the cake, it’s me. I just can’t do it anymore. See, it’s bathing suit season, or rather, it would be bathing suit season if Monday Cake Days hadn’t wreaked such havoc on my waistline. Now, it’s baggy t-shirt season. Thanks, Cake Day, thanks a lot. So it is with great sadness that I regret to inform you that Monday Cake Day is officially… on hold. Now, before you freak out on me, saying that you were promised Monday Cake Days and you’re going to boycott me until they come back, let’s look at the logistics of this situation. Turns out that people make cakes for special occasions for a reason- that reason being that there are lots of people around. And if you haven’t read this yet, well, there are only TWO of us around here. And some very helpful taste-testers at my work, but still. A whole cake is a lot to take down in a week. And because I hate waste, we’ve been doing it. But it is not looking good around here. Literally, we are not looking good. Not that we eat like angels all the time, but somehow eating a cake a week tips the scales for us. I can handle this in the winter months, with lots of layers of wool and fleece-lined jeans to hide my indulgences. But as I start pulling out the sleeveless tops, and the shorts, and the ever-deadly bathing suit, it’s becoming clear that we cannot keep up this pace. However, Mondays are still arguably the worst day of the week, so we obviously need something to look forward to. Don’t worry, I’m not turning Monday into Monday Salad Day or anything. I’m just suggesting we widen the parameters into some treats that are not so… voluptuous. Not so massive. Not so let’s-feed-an-army style. 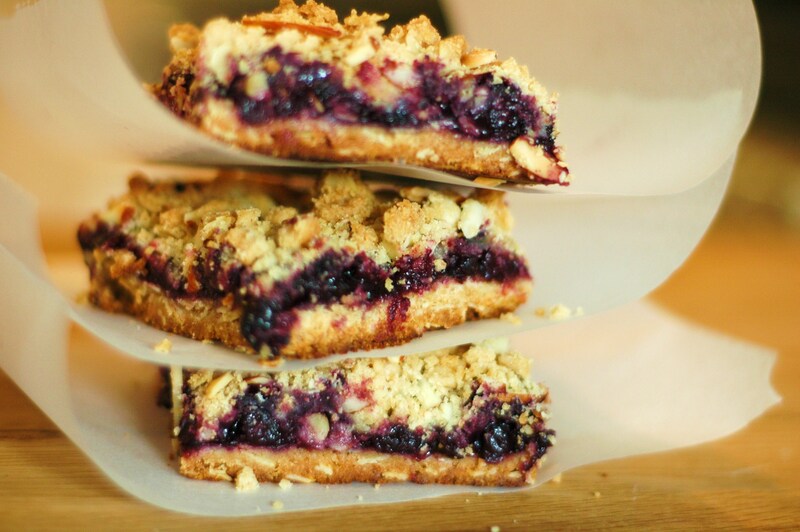 And what better to kick off the revised Monday “Treat” Day than these Blueberry Crumb bars? These little bars are wonderful. 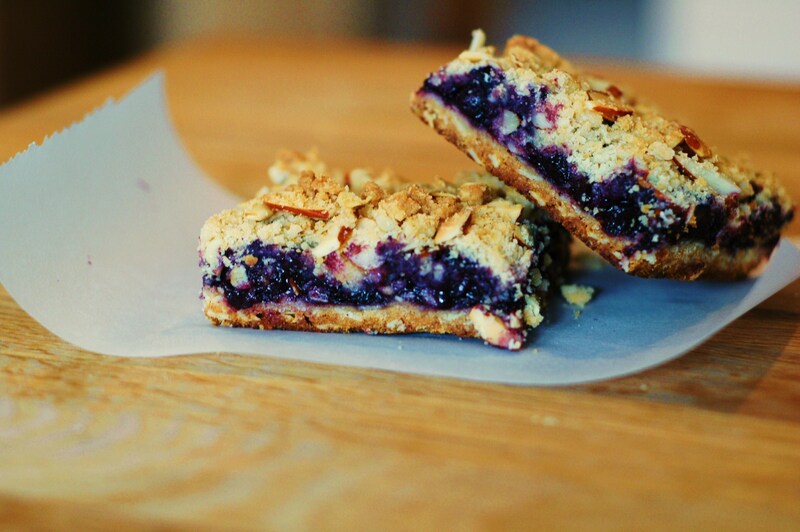 They’re sweet, tart, gooey, and crispy all at the same time. They are so easy to make that I wouldn’t think twice about making them for a plain old Monday night. And if that doesn’t persuade you, they also have blueberries and oats in them, which I thiiiiiiink… yep, that makes them a health food. I think they’d do a lot to ease the loss of Cake Day, wouldn’t you say? 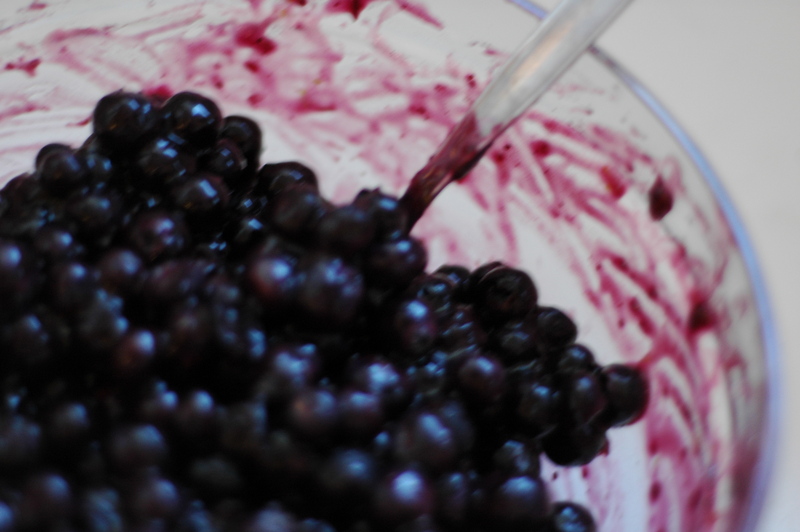 I used fresh blueberries, but you can use frozen ones just as easily, and I’m sure they’d turn out just as well. Also, next time I make these, I think I’ll add even a little more lemon zest. Make sure they’re completely cool before you cut them; otherwise they’ll be hard to keep together. Of course, I won’t judge you if you try when they’re still warm and eat the mushed up bars with a spoon. It’s just as delicious. 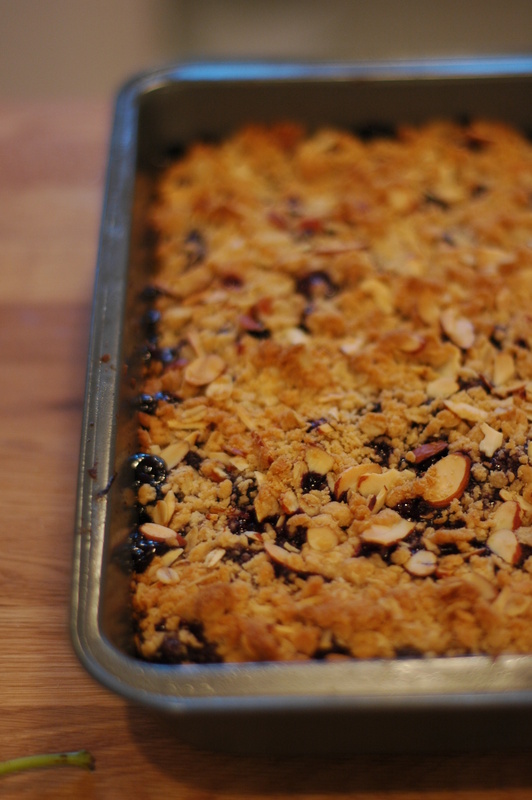 Bake bars until filling bubbles thickly at edges and topping is golden brown, about 40 minutes; cool in pan on rack. Cut into squares. Sounds delish! Funny how things come together. 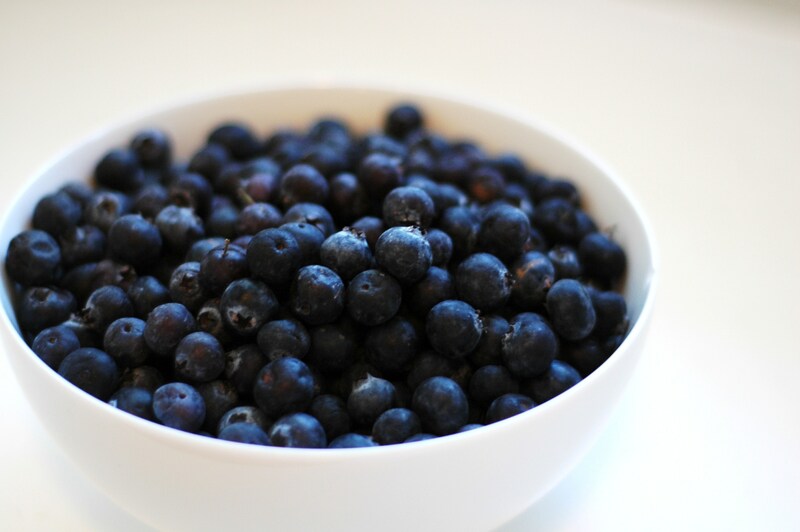 One of my friends just sent me a message that she saw that blueberries help reduce belly fat! Wise move!! I prefer eating a pan of brownies or other bars over a whole cake every time!! That is of course if there aren’t a few dozen cookies and a quart of milk around. I completely agree with you. Except now I want brownies… oh boy. YUM. Those look incredible! I know what I’m making over the weekend. Oooooh, they will be a hit, I promise! Well this looks pretty darn fabulous. I can’t wait to see what next Monday’s “treat” will be! 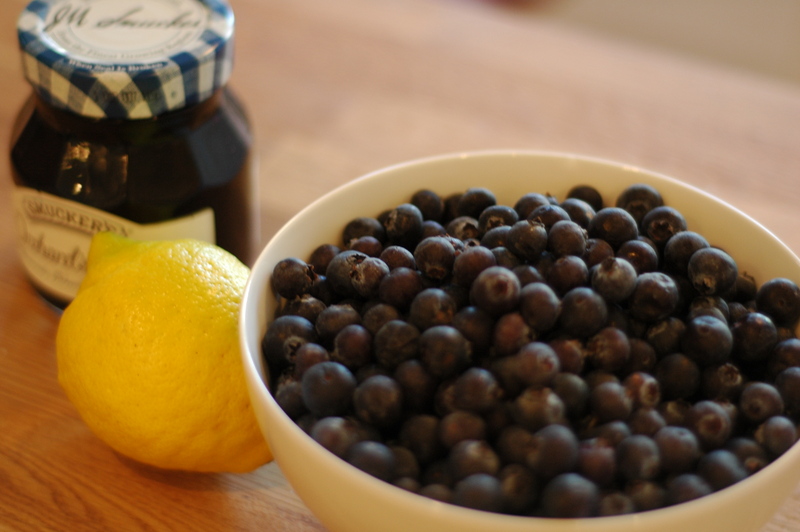 And don’t forget the anti-oxidants in blueberries! Honestly, I will be making and eating these for medicinal purposes…. This is what I’m sayingggg… health food!